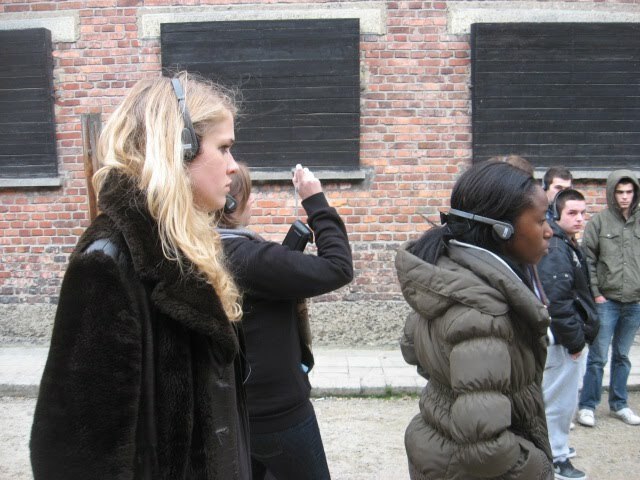 By thomasbennett3 in Auschwitz, Death, Holocaust, School Trips on October 23, 2010 . Very thoughtful and emotinal. Being there and now reading your testimony of this very personal experience makes me appreciate life more and more. Extremely well written Tom, a very personal, yet far reaching insight. I have been to Auschwitz three times now and nothing is lost in my understanding of the importance of the site and the history it encapsulates – not just the history of facts and figures, but the history of choices made and paths walked, by those that were murdered, those that survived and those that killed. While we must strive to individualise the stories of those murdered we must do the same for those that killed. We must not distance ourselves from those involved in the process, while it may be the safe thing to do, it is not the honest thing – and for many, including myself, that is what makes the impact of Auschwitz and the Holocaust so great. Any of us could be victims… any of us could be perpetraitors. Rather than allowing this fact to suffocate though it must be used to harden and inspire us, out of the darkness must come hope and belief – not necessarily in any god but in humanity and what we can achieve, and the difference every one of us has the power to make if we truly want to. After my first visit the one thought I had when leaving along the rail track was 'I hope I can do enough'… I am still hoping, thank you again for your words Tom. Thanks Ian. You make a vital point here. There was nothing intrinsically more bestial about the nature of humanity in the 40s than there is now. I wrote earlier about Auschwitz being too large to grasp. I think that's because it is too small a thing to say 'I understand this.' As I wrote elsewhere, grief is not understood- it is endured. Rationalising something reduces it to amenable compartments of understanding, and there are too many understandings to be had about Auschwitz to ever say 'I understand this'. What we can do is realise what a place like this acts as for us: it's a mirror. Some have said it's a mirror for humanity; well I'm not sure if humanity has a face and a collective consciousness. But I do. Auschwitz is a mirror to ME. I hold it up in front of me and ask, what do I see of myself here? What am I capable of? What would I do? The answers to these are as uncomfortable as the questions. And that's one reason why it's important to go. The Milgram experiments revealed what people are capable of. One should always remember that the German people who allowed these things to happen was as normal as you and I.
I think that last point is essential; there are too many well-meant aphorisms about 'never forgetting' or 'never allowing this to happen again.' Well, on different scales, genocide has recurred, again and again. One of the most important lessons that such things can teach us is that any process of systematic community extermination begins with the dehumanisation of that group. Once they are viewed as subhuman, their human rights can be dispensed with. We see it in Ancient Greece, supported by a subclass of slaves, we saw it in the Krystalnacht, we saw it in Darfur…and we see it when we villify that nation, or this people. The Germans were not monsters; they were humans. That's the point. And we are humans too. So when we guard against events like this reoccurring, God forbid, we must look as closely at ourselves as we do to the 'others'. I have taught kind, friendly children who, perfectly innocently, have referred to Gypsies as 'scum', or who believe that homosexuality is immoral and should be against the law. Or that 'immigrants cause all the crime', which is a charge that goes back to Beowulf and beyond. It's chilling. We have a huge responsibility as teachers. It doesn't help when papers are allowed to print barefaced lies and hate inciting headlines about immigrants stealing our jobs and women. A very emotional and accurate piece of writing. 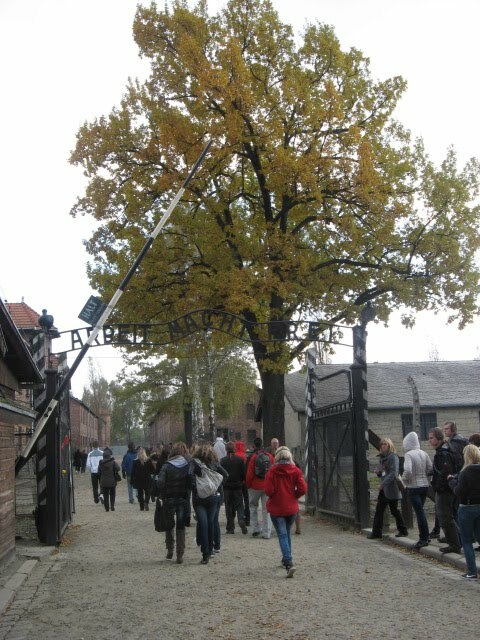 It shows the importance of visiting or understanding a place like Auschwitz. It is easy to describe the Nazi's as monsters yet difficult to realise that this level of suffering is still being inflicted. Auschwitz is not only a memorial, or a place to pay respects to those who died there, but also a reminder of how discrimination can escalate. Once the victims have been dehumanised and no longer invoke sympathy, there is nothing left to demand that they be treated with respect.